Belly, my oldest daughter, finished her first year of school last week. Kindergarten - check, onto First Grade! I wanted to make gifts for her teachers but when you include aids and specials and that meant eight gifts. I left this 'till the final week to do, so this meant something pretty quick. I figured her two male teachers wouldn't want a pretty little zippered pouch so they got Chipotle gift certificates instead. The only simple male sewing project I could think of was boxer shorts and that didn't seem appropriate! To save time, I interfaced the pouch fabric with a fabric-like fusible interfacing (Pellon SF101 shape-flex woven interfacing) instead of lining them. I sewed the pouches up on my fancy serger using a piping foot to attach the zippers, and each one only took about 15 minutes from cutting to fusing to sewing. 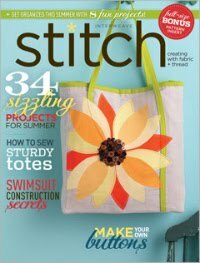 I also just hit my one year milestone with teaching sewing. 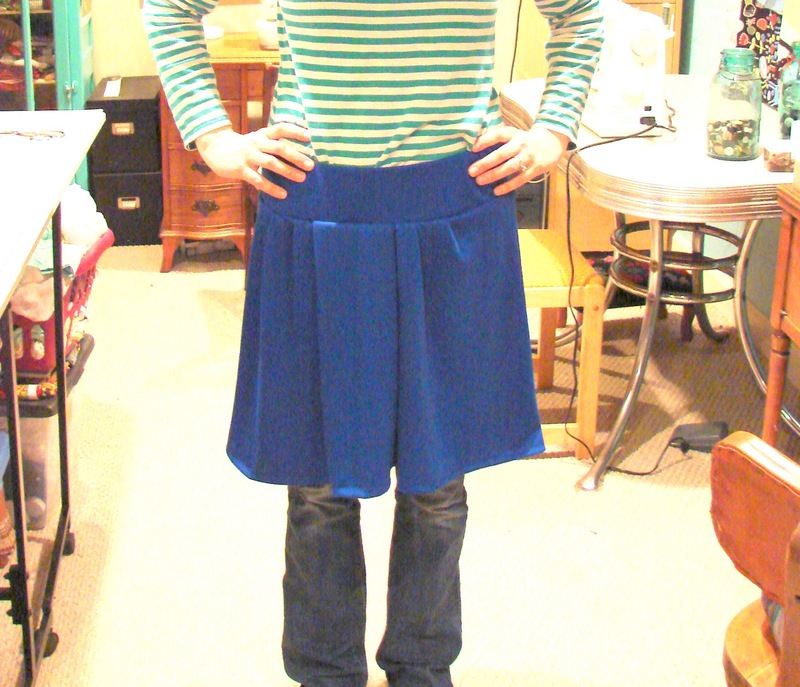 I teach primarily at The Little Bits Workshop in River Forest (if you're local and you want to take a class, go here) and I really liked the skirt project I led on Monday night. I've found that while students dream about sewing their own clothes, I have trouble filling those classes with students opting instead for simple home dec project classes. 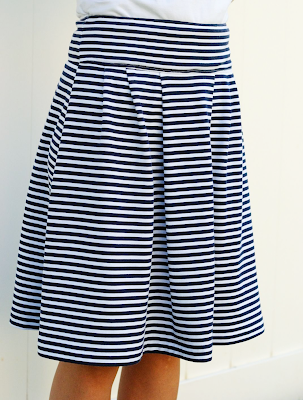 I had a group of students from my last beginner sewing session who were a bit more gung-ho, so I put together a one-night class to teach them to make a simple jersey skirt. You can't see it in this photo, but Nora did a fantastic job matching stripes! My mantra through the class was, "Your first skirt won't be your best skirt," but they turned out really well. I can't wait to see what their second and third skirts look like! 5 comments on "School Projects"
oh man ... I wish so much you'd made those male teachers boxer shorts !!! I also meant to say how damn cute all that stuff is - I suppose they deserve it. Wow, cool! A knit skirt is a great place to start, and they are the best to wear! Love all your bags too!